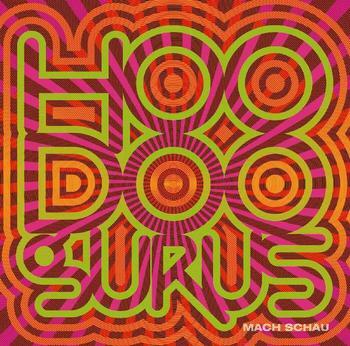 The Hoodoo Gurus Mach Schau - Stand and Deliver! Demetrius Romeo: In recent years there’ve been a lot of bands that have been doing the twenty-year nostalgia reunion thing. Obviously, the Hoodoo Gurus aren’t part of this because they existed throughout the 80s and into the 90s. What brings them back together now? DAVE FAULKNER: We were just missing the good fun we were having. We played a couple of years ago for the Homebake show in Sydney and had a great night and people seemed to enjoy it. We certainly did. It was the case of, ‘what’s stopping this except our own lack of…’ – or, in my case, me saying, ‘I didn’t want to do it’ because I said I wouldn’t. We’d broken up; it was gone. But it was too strong – it just came back out of the grave. Demetrius Romeo: Brad, in your words, why did the Hoodoo Gurus ever come to an end? BRAD SHEPHERD: It’s pretty boring: it was almost ‘musical differences’, wasn’t it! We never discussed this, but it seemed to the rest of us that Dave was disappearing into clubland a bit, and we didn’t know what we were gonna do. The Hoodoo Gurus couldn’t really address that as a band. We were just a noisy guitar band. DAVE FAULKNER: That’s just not true. I’m the principal writer and I thought that our last album – In Blue Cave – was fantastic and I actually thought I had no more ideas. I just felt ‘written out’ and we’d been in the band for so long – seventeen years, or sixteen years – and I thought, well gee, am I going to be a 'one-trick pony'? I think I had a little mini midlife crisis, to be honest. I thought, well, what else is out there? I just don’t think I can keep the machine running. Then I was away for a while to recharge the batteries and was writing songs for no reason and of course they were yelling out for the Hoodoo Gurus without me realising. They were these rock songs that the Hoodoo Gurus just ate up. The album was a result. Demetrius Romeo: There was a reference there to you ‘disappearing into clubland’, Dave. [Faulkner and Shepherd both laugh] I want to know more about your ‘clubland’ phase. DAVE FAULKNER: Well, I didn’t really ‘disappear into clubland’. I did do an album immediately after the Hoodoo Gurus finished, called ‘Antenna’, with Kim Salmon, who’s just produced our new album, and a couple of the guys from a little electronic group called Southend. It really was something I felt like doing for fun. It was just a little hobby project. I call it a ‘busman’s holiday’. It was a bit sort of ‘alternative’ electronic stuff, but it was never meant to be my ‘new direction’ or anything. It was just something to fool around with that wasn’t like the Hoodoo Gurus. That’d be pointless: why would I reform a rock ’n’ roll band when I had the best one I knew of? Demetrius Romeo: Which leads me to my next question! There was a band that consisted of three quarters of the Hoodoo Gurus called 'The Persian Rugs'. How do they differ to the Hoodoo Gurus? DAVE FAULKNER: We’re all big fans of music and one particular era really gets me going, and I know Brad loves it too: the 60s psychedelic era. ‘Mid 60s punk’, they call it. The Persian Rugs is just designed to be a band that recreates that genre. That’s an influence on the Hoodoo Gurus generally but we have so much more in the Hoodoo Gurus that we draw from. But the Persian Rugs are really just trying to be focused on being that: pretending that it’s actually 1966 again. DAVE FAULKNER: 80s hair metal! [Laughing] We’ve got everything! BRAD SHEPHERD: [Also laughing] Foreigner! Or… R.E.O. Speedwagon! DAVE FAULKNER: Or grunge. We don’t care. It just sounds like a rocking band playing today. We don’t try and have any sort of ‘hallmarks’, an era, to brand our sound as anything in the Gurus, whereas the Rugs are actively only using the equipment from that era, the style of recording, you name it, we’re really being purist about it. 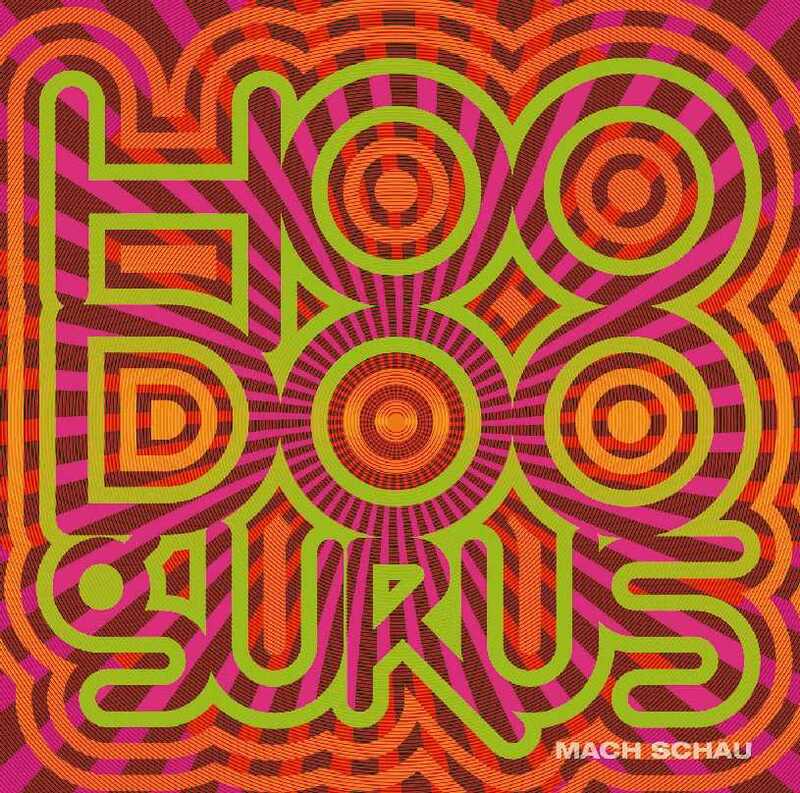 Demetrius Romeo: I see all of these elements coming together in the new Hoodoo Gurus album, which is called Mach Schau, which is a reference to something someone used to say to the Beatles in clubs in Germany when they were starting out. BRAD SHEPHERD: It’s the musician’s life, really, isn’t it. Demetrius Romeo: Dave, tell me about the first single off the album, ‘Nothing’s Changing My Life’. DAVE FAULKNER: Speaking of the Persian Rugs, and going back to the 60s, I kind of went a little bit later than that: I was thinking a bit ‘glam rock’. Of course it doesn’t sound like that. Because it’s the Hoodoo Gurus, when we record it, we kind of make our own thing out of it. But that was kind of what I had half in my mind. It’s just me basically telling myself off – again! – for my procrastination on all the different issues in life that I should be dealing with that I’m letting take care of themselves, and they never do. Demetrius Romeo: Brad, tell me about the lovely lullaby that ends the album. BRAD SHEPHERD: Um… it’s something that you might expect a new father to do. I have a little girl who’s two years old and I suppose if you can play a guitar something obvious you would do is write a lullaby for your child. So, yeah, there’s no real spectacular story about it. I’m sure musicians the world over do it. It’s very much in keeping with ‘Goodnight’ by the Beatles, or something like that. Demetrius Romeo: Given the new album doing well, when will the Hoodoo Gurus start ‘maching schau’ across Australia? DAVE FAULKNER: In about two weeks time, we’re pretty much going everywhere that NewsRadio goes. If your listeners keep an eye out for us, we’ll be around somewhere. BRAD SHEPHERD: We’re just going everywhere. Coming to a town near you! Demetrius Romeo: Fantastic! Gentlemen, thank you very much. DAVE FAULKNER: No worries, see you soon.